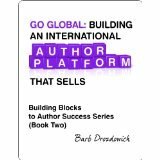 Today I’m pleased to welcome Barb Drozdowich and Babs Hightower to do a guest post on sharing blog posts as part of their blog tour for their collection of books which have the aim of enabling writers to fully develop their social media platform. The books and their topics are listed at the end of this post. They look really great so please check them out. So now I will hand over to Barb. I’d like to thank Elaine Jeremiah for inviting me to share some thoughts today! 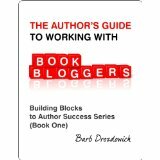 My name is Barb Drozdowich and I teach WordPress and work with authors on a daily basis to help them understand the technical aspects of Book Promotion. Today I thought I’d talk about Sharing. This is a topic that comes up frequently in my interaction with authors. Authors love to get comments on their blog posts – don’t we all? Comments are lovely! I often see comments encouraged in blog tours that are posted on my blog as well as others. In the big scheme of things, however, comments are not very important. Sharing is hugely important. Sharing buttons are those little icons that sit at the top or bottom of post or maybe float along the side. Ideally, they have icons for every social media platform known to man. It’s your job to create great content that your readers want to share with their friends and followers. I don’t care if you don’t have a Stumbleupon account. Maybe your readers do and that’s where they want to share. You just need to make the content interesting and easy to share. You want your readers to share your post on Twitter, on Facebook, on Stumbleupon and on whatever other social media accounts they favor. So why do I think that sharing is more important than comments? Because Google thinks that sharing is more important than comments. Although readers will find your blog from many sources, some will find you from a Google search. You want to do everything that you can to make your blog rank as high as possible in a Google search. Think about it – most people will only look through the first few pages of a Google search. So, you want to be on one of those first few pages. 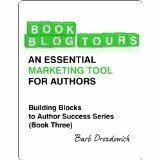 Understanding some of the technical aspects to promoting your books is challenging for many authors. Authors write beautiful stories – that’s what they do really well! You wouldn’t hesitate to take a writing course or go to a workshop. Likewise, don’t waste your valuable writing time wrestling with technical issues; ask for help. Bio: Social Media and WordPress Consultant Barb Drozdowich has taught at Colleges and Universities, trained technical personnel in the banking industry and, most recently, used her expertise to help dozens of authors develop the social media platform needed to succeed in today’s fast evolving publishing world. She owns Bakerview Consulting and manages the popular Romance Book blog, Sugarbeat’s Books. 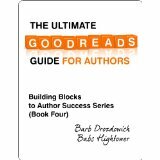 Barb has published 4 books specifically to help authors understand some of the technical issues that they come up against when promoting their books. Getting help to promote your book just got easier. 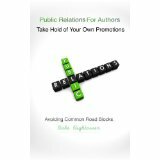 Public Relations for Authors Take Hold of Your Own Promotions will help you locate that special publicist who will help you promote your book the right way. A Publicity Director for two publishers Babs brings knowledge to this book. Bio:Babs has been helping authors since 2000. She owns a book review blog Babs Book Bistro which got her started in PR and helping authors promote themselves. In 2012 she started working for Entangled Publishing and worked her way up to Publicity Director over the Scandalous Imprint. She is a publicist for World Castle Publishing. She is also known as Morgan Kincaid writer of Historical Romance. Good Morning! Thanks so much for sharing information on our books! Very much appreciated! I’m happy to answer any questions that may come up! The theme is called Bouquet I think and it’s just part of WordPress – it’s a free theme. And no I didn’t make the site myself, again that’s WordPress.